Nair, S. Agostino, N. Gheith, S. Shah, U. (2016,Sept). Peritoneal Lymphomatosis: The Failure of Occam’s Razor. 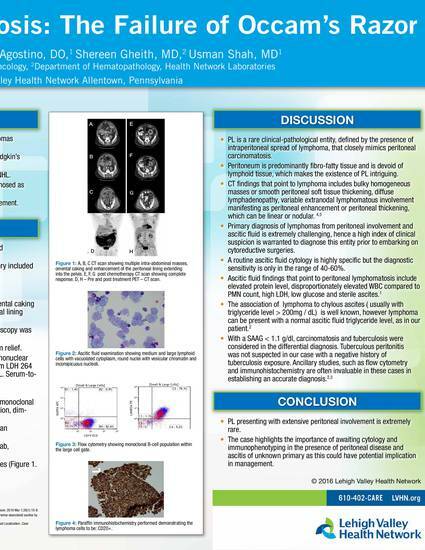 Poster Presented at: Pennsylvania Society of Hematology and oncology. Annual Scientific meeting, Harrisburg, PA.